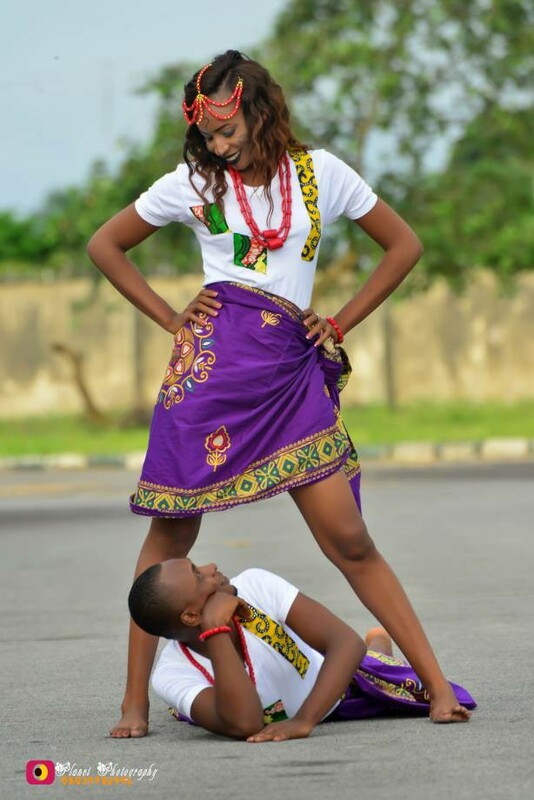 This lovely couple have gotten social media buzzing with the strange pre-wedding photo-shoot. Local reports show that the couple is about marry in a few weeks time and have decided to pose for their pre-wedding shoot in a completely unconventional manner. 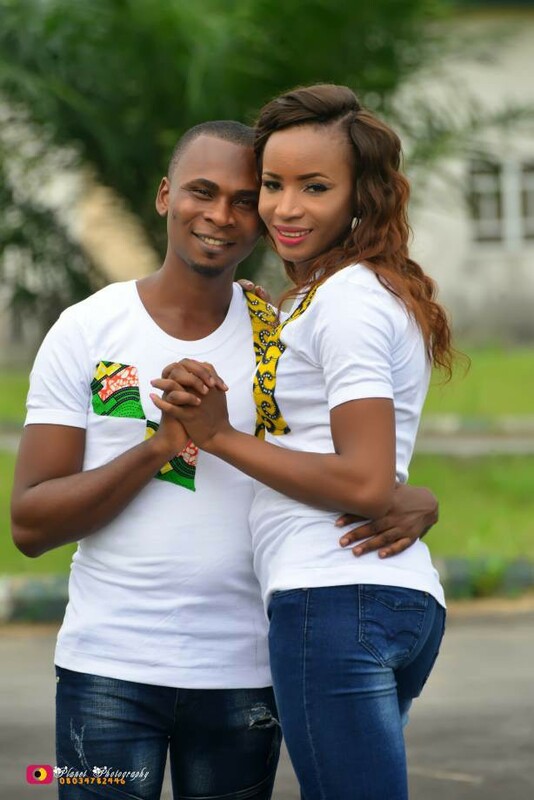 The soon-to-be bride who hails from Urualla in Rivers state, posted the pre-wedding pictures of her and her partner on Facebook and have got tongues wagging in the process. In one of the pictures, the husband-to-be was seen laying on the ground as he looked directly under his partner’s native cloth with her legs wide open. Some social media users have found the photo quite distasteful but others feel it is perfectly normal.